This Educational Learning and Mobile Technology website contains an online library of mobile learning technology including Ipad app suggestions and free downloads including audio books for children, internet safety resources and graphic organizers! 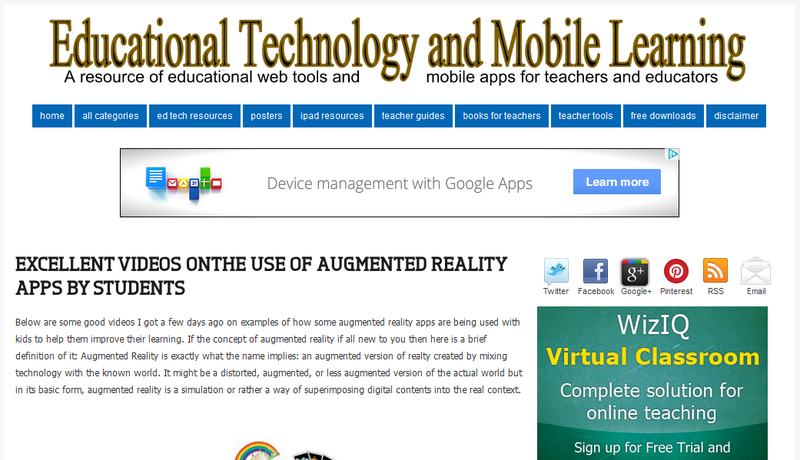 Check out this page of the site which has some really great videos exploring augmented reality in the classroom! Consider the amazing possibilities for learning with this technology! !